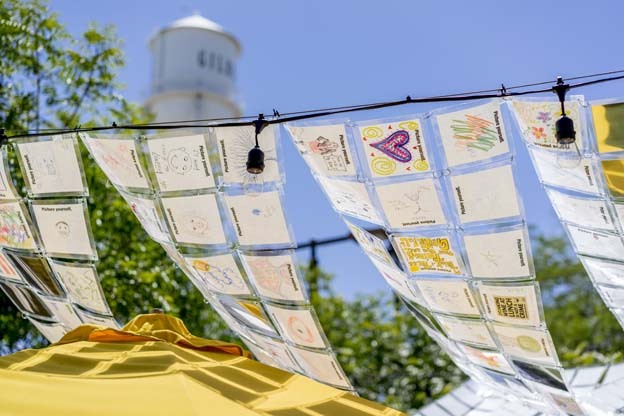 Throughout the months of February and March, patrons of Postino Gilbert have drawn images – doodles, symbols, likenesses – anything that they feel represents who they are. 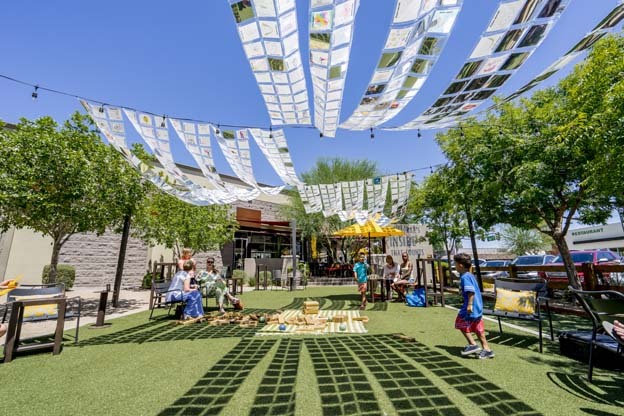 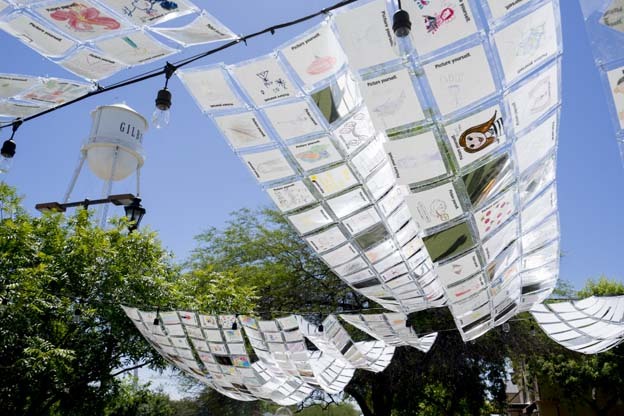 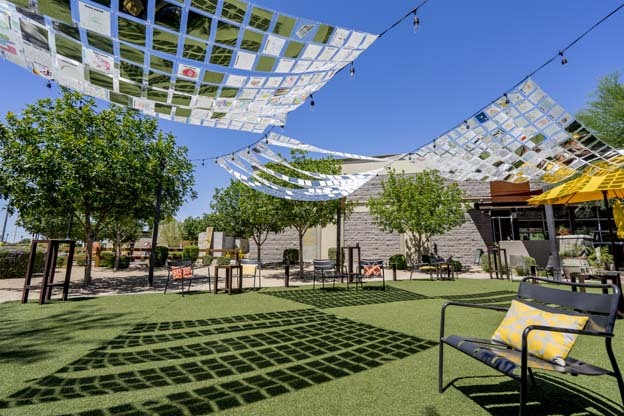 The nearly seven hundred drawings were then laminated, linked together and installed as banners on the lawn of Postino as a kind of catalog of our own perceptions of ourselves.Picture Yourself creates a fun, safe space for visually identifying with other members of the community. 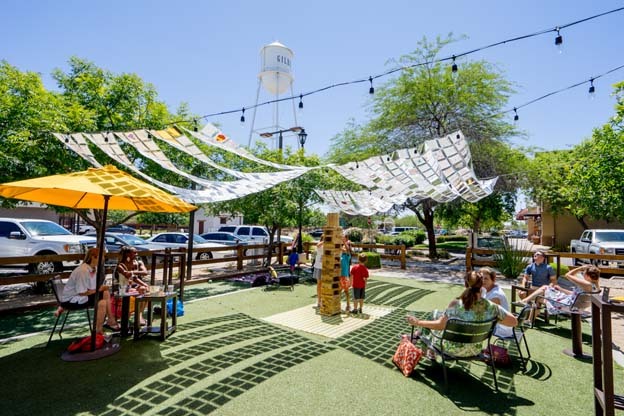 This artwork was commissioned by the Town of Gilbert.